Welcome to my angling diary. 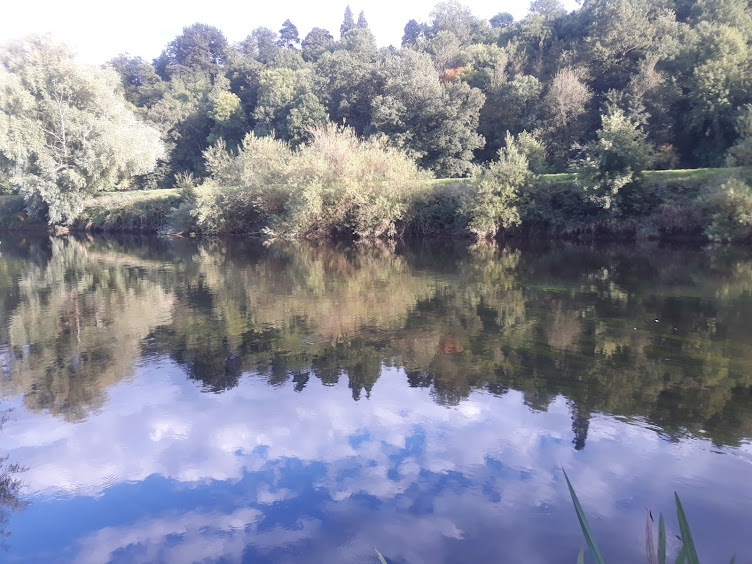 Here I will tell you about my trials and tribulations as I embark on my quest for Barbel (and other species) on the Warwickshire Avon, Severn and Teme. So another year is upon on us and with it comes new targets and new found enthusiasm. I finished 2018 on the hunt for barbel. I set myself a target of catching one in every calendar month of the river season. I am yet to succeed with the winter months always proving tricky and as far as December was concerned, time was fast running out. A couple of days on the Warks Avon gave me seemingly perfect conditions but I failed to trouble the scorers and with just a few days left it took a trip to the Severn to break my duck. I bumped into a chap that had a red letter day 24 hours earlier. He had managed a barbel first cast and looked set for another bumper session but had failed to record a bite since. How many times have we returned to the same spot and used the same tactics after a good day only to see a tough session ensue? It's what makes fishing impossible to predict and keeps anglers going back in the hope that today will result in that magical catch. However this particular day turned out to be tough. Even fishing maggots which I had hoped to be my secret weapon failed to produce the barbel I was looking for. I upped sticks and moved to a swim that has produced for me in the past. It was going to be an all or nothing approach with about 90 minutes to go before the light was gone and and the session would end. I switched to worm but still ensured a slow release of maggots from the feeder to hopefully attract some interest. Eventually the rod twitched twice and a small barbel kept my challenge going for another month at least. success which has given me fresh impetus. Although there are many ways to catch a pike I still think a float setup is hard to beat. It gives me the flexibility to stay mobile and search the fish out and bite indication is straightforward with no need for extra kit such as alarms. In fact, the sight of the float bobbing slightly as a pike picks up the bait before it moves across the water and slides from view certainly sets the pulse racing. My first session of the year could hardly have gone better. Fishing sardine, a pike found the bait quite quickly but refused to pick it up purposefully. Slight movements for what seemed an age had me doubting it was even a pike at all. Maybe smaller fish were pecking at the bait? I recast. The same thing happened. Lots of movement on the float but nothing to make me feel a strike was warranted. I pulled the bait a few feet hoping the movement would entice a take. Eventually the float sailed away and a pike was on. It was a good one too. It leapt clear from the surface adding to the experience. It was netted. It looked easily 15+ pounds and maybe a good deal more. It was rested whilst I set up for a photo and scales. However, whilst taking the photo the fish flipped. I lost my grip and it found its way back to the river before returning to the depths never to be seen again. It was a slight disappointment not knowing what the fish weighed but it didn't hide the fact it was probably my second best pike from the stretch. A smaller fish resulted from another spot but it had been a rewarding few hours. Another decent river pike. This one didn't mind a photo. rest my nagging doubts but that did not happen despite missing a run. 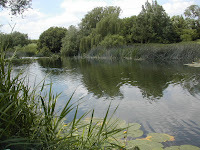 I then visited the swim that had given me the smaller pike. After 20 minutes or so the float started to move towards the reed bed on the near bank. Another good pike was successfully hooked. The fight was less spectacular than the previous decent fish but it was another great river specimen. It went 15lb 12oz with the photo and weighing passing without any drama on this occasion. The fish was returned safely and no more action was seen. My most recent session saw a jack pike arrive quite quickly. Another soon followed. There were almost identical in size but I always feel that when the smaller pike are this active it signals the bigger fish are not feeding. If you were a pike of a few pounds, you'd keep a low profile if a fish 4 times your size was on the look out for lunch. I then lost a fish at the net, again estimated at several pounds before another spat the hook. I think this can always happen as the smaller pike takes that bit longer to position a reasonably sized bait in its jaws. Strike too early and you won't hook it. Too long and you risk a deeply hooked fish, especially if it turns out to be a bigger fish that will engulf a bait more rapidly. I think today's culprits were smaller fish. 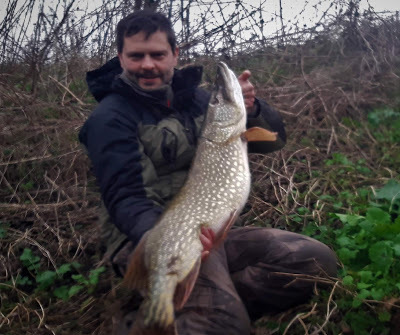 It's been a really enjoyable week or so on the bank and my relative success with the pike has certainly freshened things up and renewed my enthusiasm. Hopefully there will be few more fish to follow. Barbel: Are you brave enough to try somewhere new? Warwickshire Avon in flood, what a surprise! The best Barbel catch of all time? Welcome to my angling blog. My name is Lee and I've been fishing since the late 1980s. These days I am fortunate enough to live a few hundred yards from the Warwickshire Avon, which has provided me with so many opportunities. I guess I consider myself to be a Barbel angler and they are my main quarry and have been for a number of years. With a modest personal best of 12lb 9oz from the Avon several years ago, I have managed some decent fish since as I attempt to winkle out larger than average fish with varying degrees of success. That said, I do chance my arm at other species when conditions suit. You're unlikely to find any staggering catches here. Just me wittering on about what I have been upto and what I may or may not have caught. If it proves to be interesting or helpful to anyone else then that's great.